I have always liked Canada. 2017 was my first time back to Vancouver since I was in high school, and after settling in, I thought to myself, "I could see myself living here someday." Perhaps it’s because I flew in from Tokyo, but Vancouver seemed smaller and more quaint than I had remembered. Even catching the SkyTrain into the city from the airport was easy and chaos-free. We stayed at a couple of Airbnb’s - one just outside of Yaletown on Smithe St, the other in the central area on Hornby St. Both were in nice residential towers just a few blocks from main areas. We chose to walk around most of the city and only caught taxis when we had to. Vancouver has the car2go service which I wanted to use - it lets you get in and drive the nearest available car and just leave it when you're done - but I hadn't received my renewed license yet. Bummer. 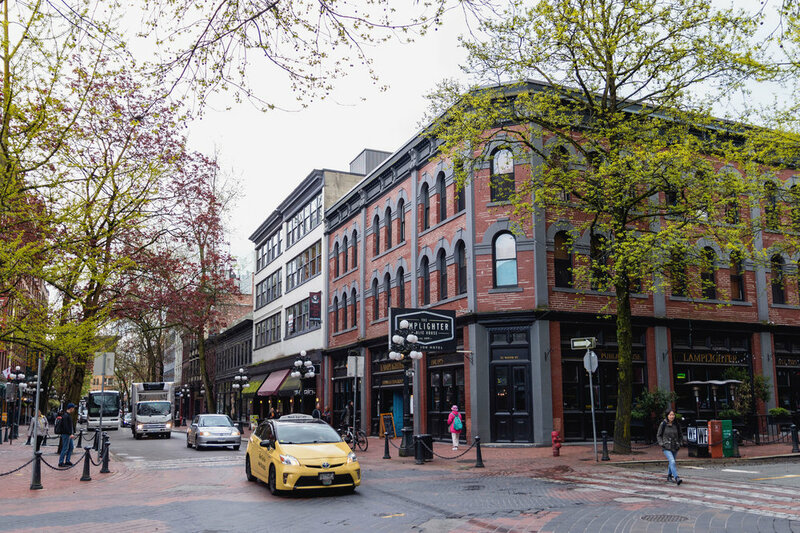 We walked around Robson Street and the Gaslight District, two of the main areas in town. There weren’t any must see's or do's there in particular, but they were nice areas to walk while shopping at Canadian brands like lululemon and Kit and Ace while stopping to grab a bite or drink. One of the highlights of our time in Vancouver was Granville Island. We caught a small ferry boat from the Aquatic Centre Ferry Dock [map] to the island, where the main attraction is its public market. 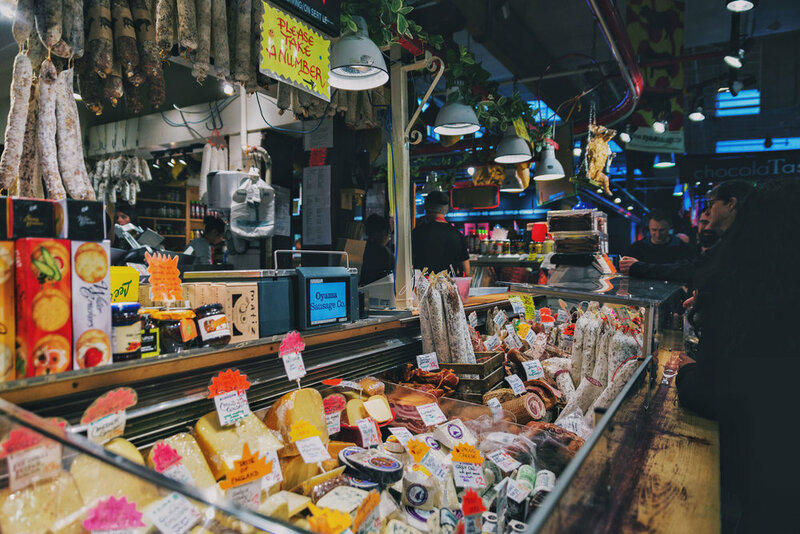 A warehouse full of shops and food stands, Granville Market had everything from sausages and deli cuts to fresh fish, cheeses, pastries, soups and more to pick and choose from. 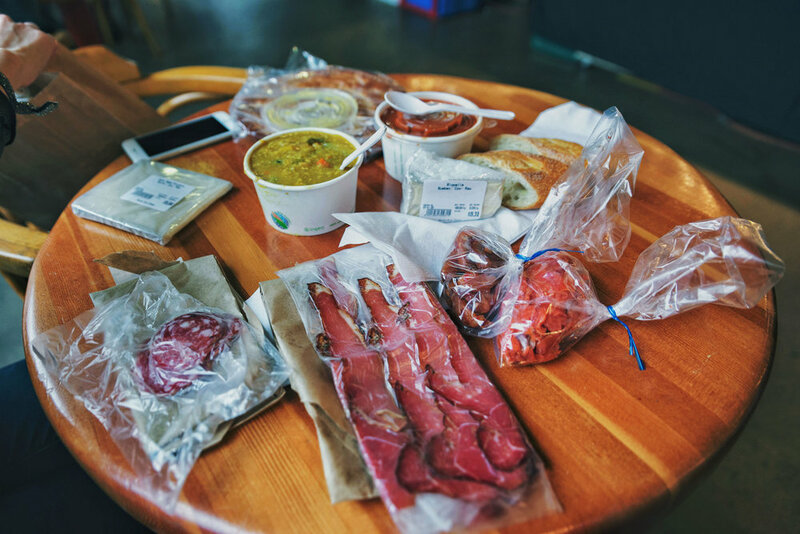 We decided to load up on a variety of meats from Oyama Sausage Company, candied salmon from Seafood City, cheese from Benton Brothers and some fresh soup from The Stock Market, grabbed a table and filled our stomachs and brought some back to the apartment for later. I had wanted to re-visit Grouse Mountain and Capilano Bridge since I had seen it on my earlier visit to Vancouver, but we didn't make it due to it being rainy, down jacket weather every other day. We went in late April / early May, and being in the Pacific Northwest, the weather was still going back and forth between cloudy, rainy and cold, to clear, sunny and warm. Instead, we used a sunny day for a day trip to Victoria on Vancouver Island - I wrote about it here. While it's easier to drive and take the ferry from Tsawwassen terminal, the main port for people going to and from Victoria, we took a bus there before departing to the island. 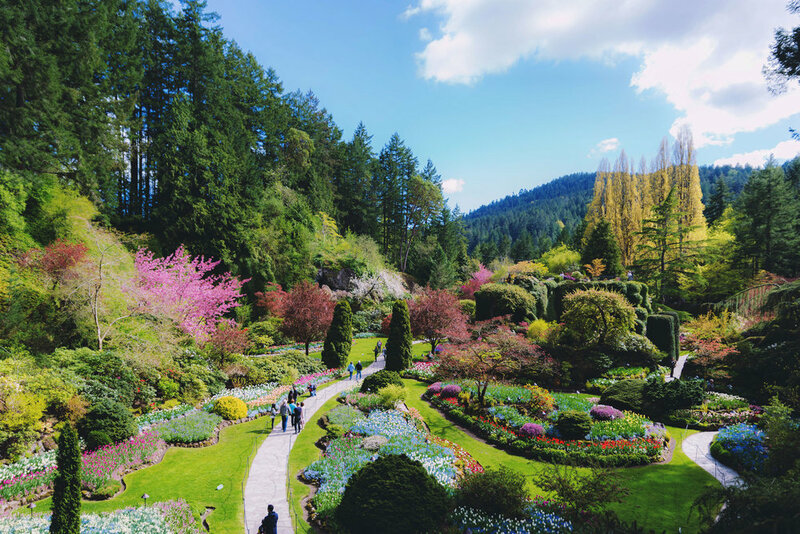 Our two main stops there were Buchart Gardens and downtown Victoria. For a park stroll that's closer to central Vancouver, there's Stanley Park which is likely on most people’s lists when visiting. Before walking through the park, we stopped on the northern side of Robson Street, near the Denman Street intersection, which was somewhat of an Asian Town. Japanese, Chinese and Korean food galore. 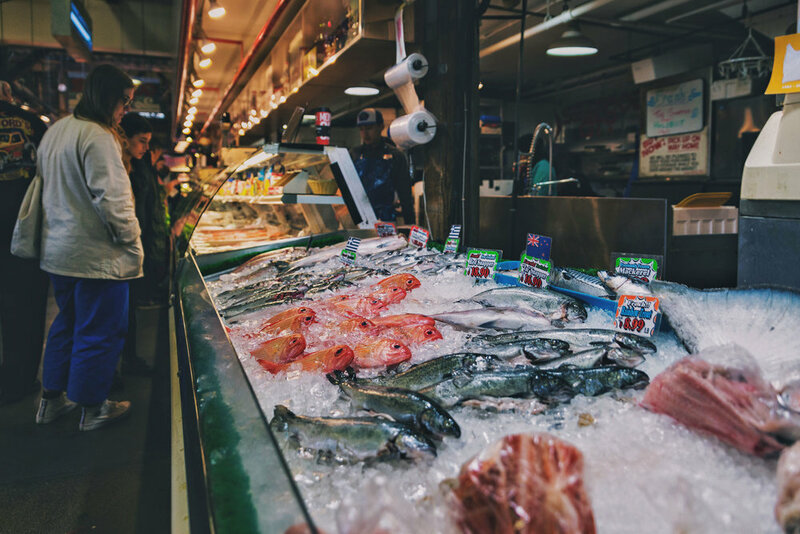 Being that Vancouver is quite a diverse city with a lot of people of Asian backgrounds, it makes sense that there's an area with a lot of authentic Asian foods. After lunch, we walked around the park, snapping some skyline shots of the city (like this one and the photo up top). Our final day was spent in Vancouver with a walk through Davie Village, Sunset Beach and English Bay Beach. These areas are probably the main reasons BC is considered the more liberal, "hippie" part of Canada. 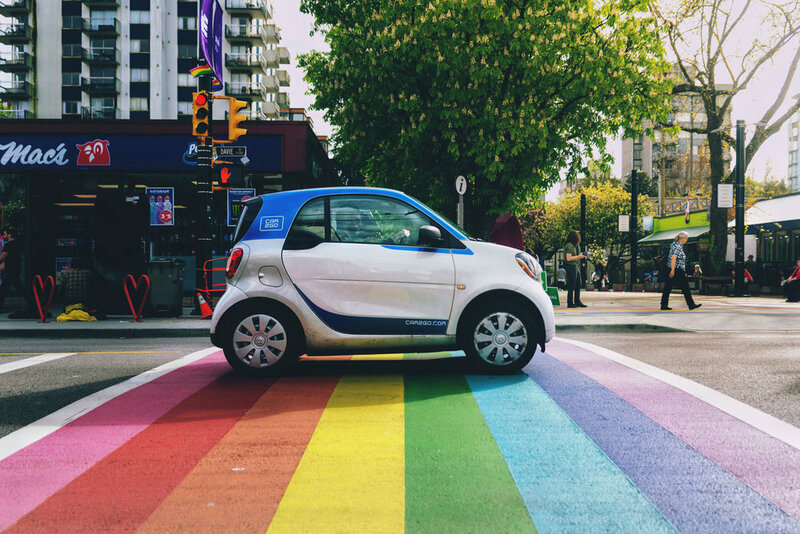 Davie Village is considered the "gay village," and it's not hard to tell with the rainbow flags and rainbow crosswalks painted on the streets. Nearby down the street is Sunset Beach and English Bay Beach. There, people are out relaxing, playing sports and having fun soaking in some fresh air with a slight smell of ocean and weed. Having lived in San Francisco, I found the environment to be familiar and almost comforting after living in Japan for so long. My return to Vancouver reminded me about why I liked it, and Canada as a whole. The city is very international and diverse, people are polite, and you get a sense of freedom that you can be who you are and that it's ok. I'm sure that it's not perfect - a taxi driver mentioned the rising cost of living due to foreigners buying up condos that they never use - but everywhere has its troubles. In the US, it's common for Americans to make fun of Canada in a big brother sort of way. I've smirked at it, I guess, but I never understood why that became a thing. I still don't. Canada is a great place, and I look forward to the next time I'm there. 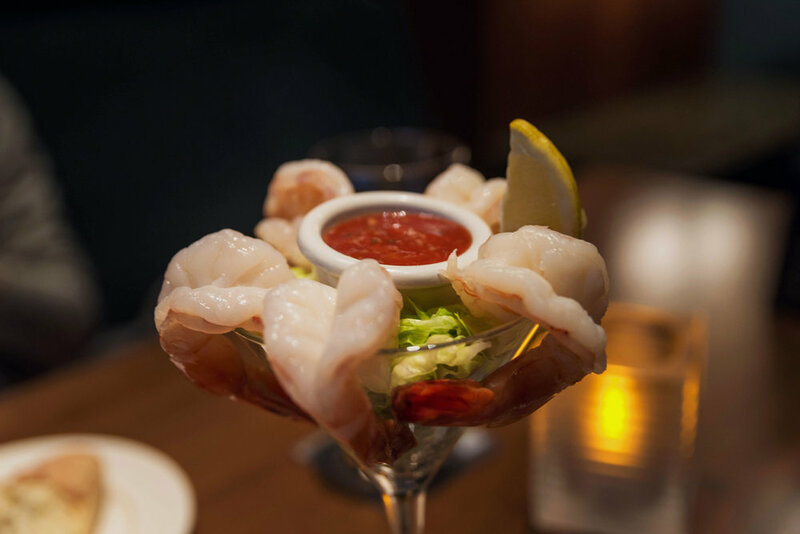 A gigantic platter of mixed shellfish on ice right on your table. Being in Vancouver, we made it a point to eat a bunch of seafood and because there were too many delicious-looking choices to choose from here, we got Joe's Seafood Tower on Ice. Good decision. Joe Fortes has a classical, high quality, American-esque type of ambiance and the service was really good. It is a popular restaurant right off the main area of Robson Street though, so after we failed with a walk-in, we reserved a spot for the next day. What a good place for brunch. I usually don't feel like deciphering "super cool" dish names on menus before noon, but I was pleasantly surprised by what I got at Medina Cafe. 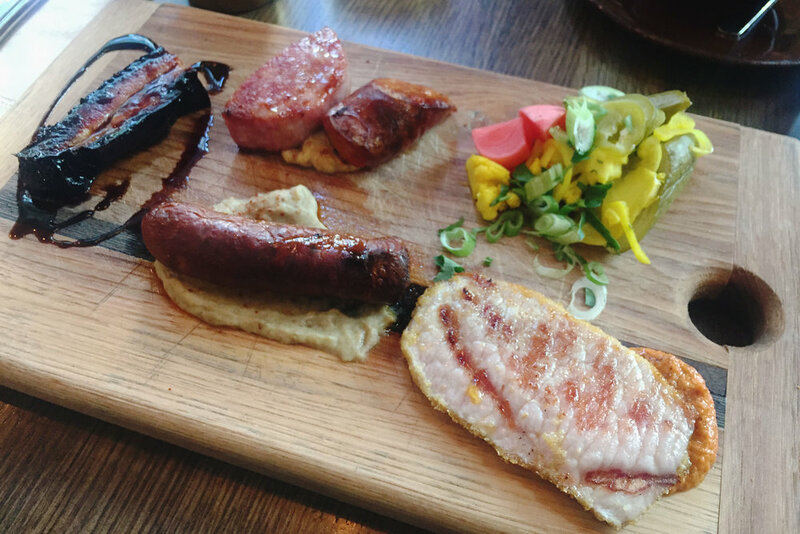 Their Wolves Breakfast was basically a meat sampler of cured flat iron steak, double smoked Medina bacon, Andouille & Merguez sausages, and eggs on the side. It's a hip, lively place that's seems to attract a good crowd, so I'm pretty glad that we stopped by and got in only after a little wait.